Order "Try It On Everything" DVD now! Great overview of EFT from Gary Craig and others. Gary Craig heals chronic shoulder pain miraculously! Very impressive! Gary Craig heals a lifetime of sexual abuse. Extra-ordinary! One of the best EFT videos for resolving money issues. Excellent overview of EFT by a master practitioner. Excellent combination of two great healing methods. Superb EFT process to deal with economic paranoia. Another remarkable healing by Gary Craig. Another great EFT tutorial for abundance. Preview trailer of "Try It On Everything" DVD. 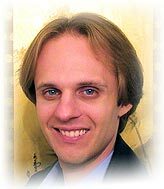 David Wilcock-Audio Blog: 2012 Disclosure! Good evening and welcome to the Miracles and Inspirations conference call for Tuesday, August 5, 2008. I am Scott Mowry and I am your co-host tonight along with our other co-host, Dan Rezac. Dan, welcome to you, how are you this evening? Let's do a brief test, I want to know if everybody can hear me? Tonight we have a very exciting show planned for you and we hope you will enjoy our presentation. I hope that all of you that have requested to be on our mailing list are receiving our announcements. We only are sending out one announcement per week for now, so that is essentially all you should be receiving. If you are not on our mailing list and would like to be, please send an email to info@miraclesandinspiration.com. If you think you have signed up for our mailing list but for some reason are not receiving our announcements, then please send us an email as well and we will attempt to resolve that issue. Sometimes when we send out mass emails to our list it may end up in your spam or bulk mail folder so please check those places before you conclude that you are not receiving our emails, then please let us know. On another note, tomorrow night, Wednesday, August 6th, Dan and myself will be appearing on the BBS Radio network on the show "Matthew & Friends with Suzy Ward." That show will be live at 4 PM Pacific and 7 PM Eastern time. You can hear the show live over the internet, however if you want to catch it later in their archives, you will need a subscription to do that. So again, that's tomorrow night, Wednesday August 6th, at 4 PM Pacific and 7 PM Eastern time. I also want to apologize for some of the technical difficulties that have plagued us with the conference call line and if anyone has a suggestion for a better alternative conference call line, please send us an email. By the way if you want to mute yourself on our call you need to press 4 *. OK, to get us started off tonight, Dan will be giving our opening invocation. Dan? Today, we are going to ask you to harken back to a time….to remember a time before time…remember your state of peacefulness, your state of blessing, your state of being before time began, before there was such a thing as form….before there were planets and suns and moons and stars…before there was anything really…anything but you. You, not as an individual, not as a collective, but before there was separation and the rejoining which constitutes a collective, so, really, before there was such a thing as you, as an individual. We invite you to harken back to your pure pristine self, there was not a spot or blemish on any part of you, there was not a negative thought or emotion or anything other than pure joy, pure bliss, pure happiness….a time before there were even games…a time before there were individual spirits….just a natural oneness that extended into infinity…. Yes, that’s it…that is you….that is the pure you, that is you as you truly are and you can return to that any time you want…all you must do is remember it, experience the moment, the feeling, the knowing associated with it. You see, the physical experience is circular, you enter physicality, you experience things linearly, even sequentially, one experience after another after another…and you get the impression that you left home a long time ago..and then you spend lifetimes, eons, searching, probing, plodding, pleading, crying, until your heart and our heart aches in sadness…you plead and you pray, asking for forgiveness, asking for help, asking for abundance because you’ve falling into the apparency of lack, yet, such abundance has been with you always…. The entire universe and everything it holds has always been there for you, it is your playground…you play in it, you immerse yourself in it, you succumb to it…then you try to escape from it…is it possible, that you are really a beautiful and precious thought form, an extension of God, playing games in the mind of God? Could it be possible that all of physicality has been offered to you as a playground, not to entice you and entrap you here, but rather to give you the opportunity to learn what you are not in order to comprehend what you are…that you are an aspect of god…that you are all many faces of the One God. So here we are, you and me and us….let’s revel together in life’s wonder, let’s appreciate everything we’ve been given, our happy experiences and our sad, let’s adopt the idea that we will miss these precious moments when we return to the whole and we shall forever cherish, forever be grateful and forever love the fact that we came here to realize who we truly are….most importantly, we have learned values…and we have learned unconditional love. We express this in words such as namaste and the Hawaiian word aloha, which means the god within me, respects and honors the god within you. We return now to that forever state of being and we watch, in anxious anticipation, the beautiful unfoldment of mankind. We invoke this feeling, this being of oneness as we participate together in the moment of miracles and inspiration…. On our last call, from July 22nd, we had a discussion about something known as EFT or Emotional Freedom Techniques. I wanted to review what we covered on our last call because I think EFT is such a powerful healing process that can transform your life. EFT is an amazing healing technique that is based on the energy systems of the body that is similar to acupuncture, only without the needles. You simply use your fingers to tap on specific meridian points on the body to move emotional blocks that prevent us from bringing into our lives the things we truly want such as good health, successful relationships, abundance and so forth. Since that last call, we have added a whole new EFT section to our web site. On this section, you find an explanation of EFT, all kinds of supplemental information and links, and also we have a top ten list for the best of EFT videos to be found on YouTube and elsewhere. That EFT section can be found on our web site, miraclesandinspiration.com in the Tools tab at the top of the home page. Just click on Tools and then go to the drop down menu and you will a link that says "EFT." EFT is very easy method to learn and you can basically teach yourself by watching the tutorial videos. On our web site we have put together a nice list of videos that will give you a very good and basic foundation to understanding what EFT is all about. We also have two EFT video categories that we have put together on our YouTube page. One category is called "Health and Wellness" and the other is for "Abundance." You can find links to both of these pages on our special EFT page. In addition, we have added a review and link to purchase the "Money Beyond Belief!" audio program that we discussed with our special guest, Brad Yates. You can find a link to that review and to Brad Yates' web site on the left hand side of the page. I wanted to explain the EFT course that you can take and the videos that are offered. If you go to the official web site, www.emofree.com and click on the "Buy Training Videos" and you will see the training videos that are offered. I am currently reviewing these EFT videos and taking the course myself and I can highly recommend it. Depending on your interest, you take your application of EFT from a modest level to an expert level. It is entirely up to you how proficient you would like to become with it and there are a number of videos to train you along the way. BRAD YATES and "CLEAR THE ECONOMIC FEAR"
Now I would like to play a Brad Yates EFT audio clip called "Clear the Economic Fear" that we also talked about on last week's call. I think this kind of practice is really good to follow since there is so much concern right now about what is going to happen to the economy. With all the uncertainty and fear about the economy that is going on right now, I think it is more important than ever to deal with your fears surrounding these scary issues.